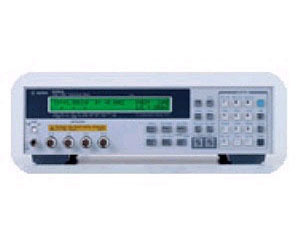 The Agilent 4288A 1kHz/1MHz capacitance meter offers a high-speed with reliable measurements for capacitor testing in the production lines. The measurement capabilities of capacitance from low to middle values (up to 20uF) can be realized with accurate measurements. The 4288A contributes improvements of the test throughput, while attaining excellent component quality for ceramic capacitor testing.